﻿ Produce 21.0×6.1mm Rectangular Type Housing LED Lamps , Export 2X3mm,Right Angle Housing LED, Supply 21.0×6.1mm Rectangular Type Housing LED Lamps suppliers, OEM 2X3mm,Right Angle Housing LED. ◇ High efficiency and low cost. 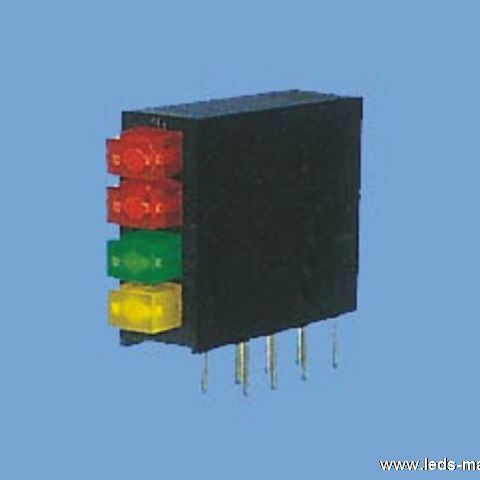 ◇ Good control and free combinations on the colors of LED lamps. ◇ Good lock and easy to assembly. ◇ Stackable and easy to assembly. ◇ Stackable vertically and easy to assembly. ◇ Versatile mounting on P.C board or panel. ◇ Stackable horizontally and easy to assembly. ◇ ARRAY=Plastic Holder + Combinations of Lamps. ◇ The array will easily mount be applicable on any panel up to.